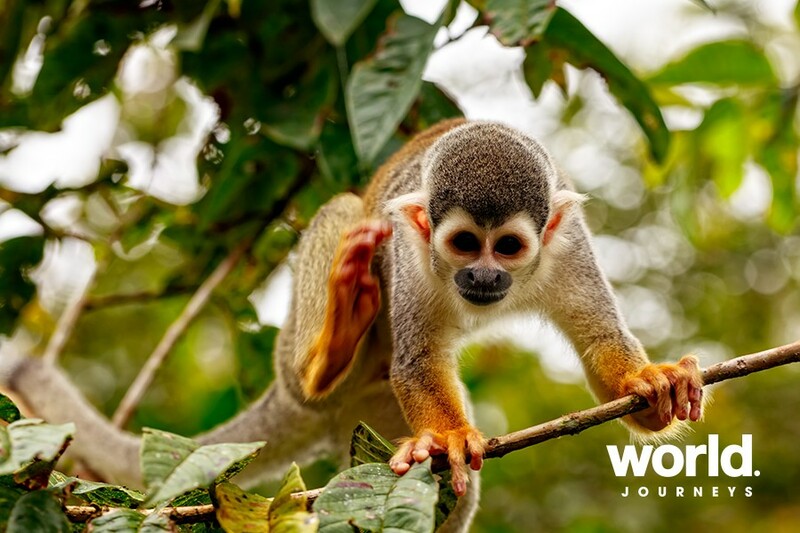 Amazonian rainforest, Incan ruins, colonial towns, white sandy beaches, and wonderful wildlife: the wonders of South America make for incredible experiences. Take this journey visiting six amazing countries starting off in the Amazon jungle before cruising the Galapagos Islands. Visit the 'Lost City of the Incas' at Machu Picchu, Lake Titicaca, marvel at the mighty waterfalls of Iguazu and embrace the beautiful cities of Quito, Lima, Buenos Aires, and Rio de Janeiro. You'll love the rich history and vast range of cultures, colours and sights, all in comfort and style. 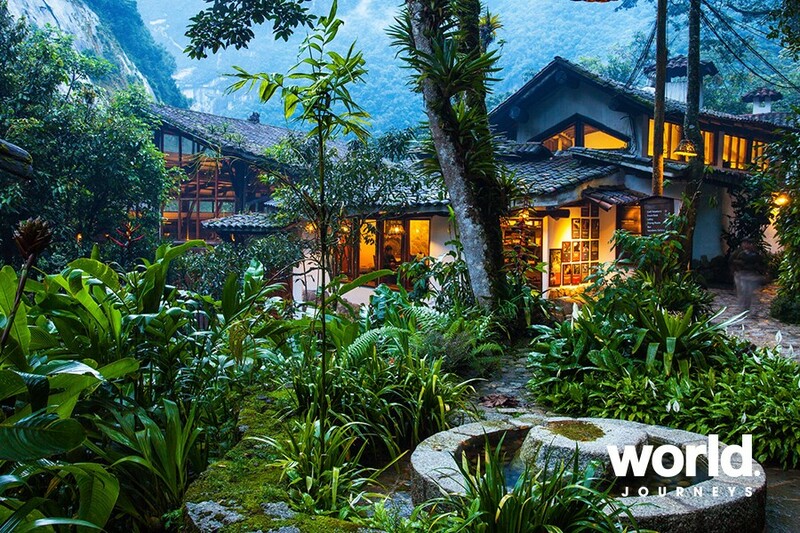 Stay in an eco-lodge in the pristine Amazon rainforest Experience the wonders of the Amazon rainforest staying at the famous Sacha Lodge with the only canopy walk in the Amazon, a birdwatching tower, and butterfly house. 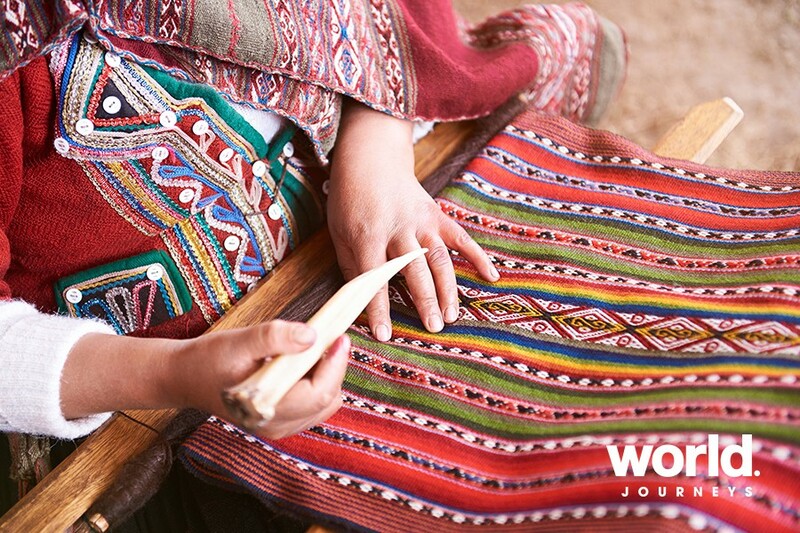 Experience a traditional Inca ceremony At Lake Titicaca, witness an Inca offering to Pachamama (Mother Earth) led by a traditionally-dressed Shaman. 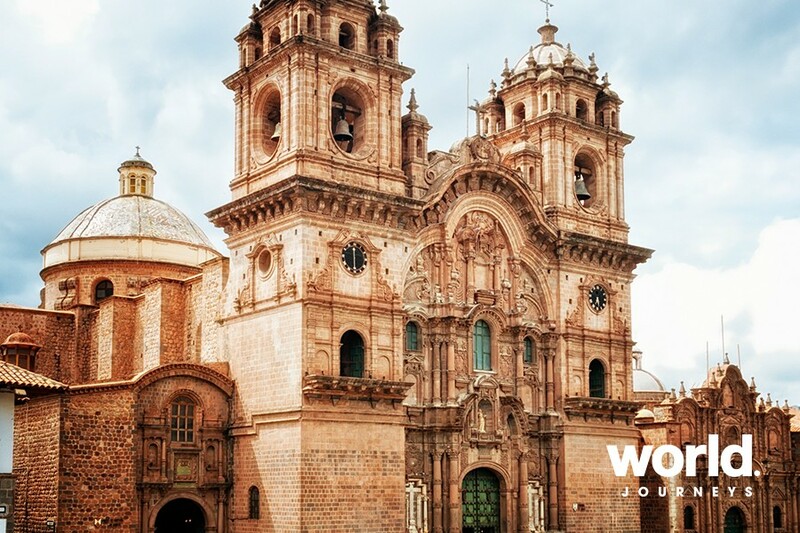 Be immersed in the ancient history of Peru Visit the marvellous Larco Herrera Museum located in the 18th century mansion, surrounded by beautiful gardens. We will see the museum's amazing archaeological collection. 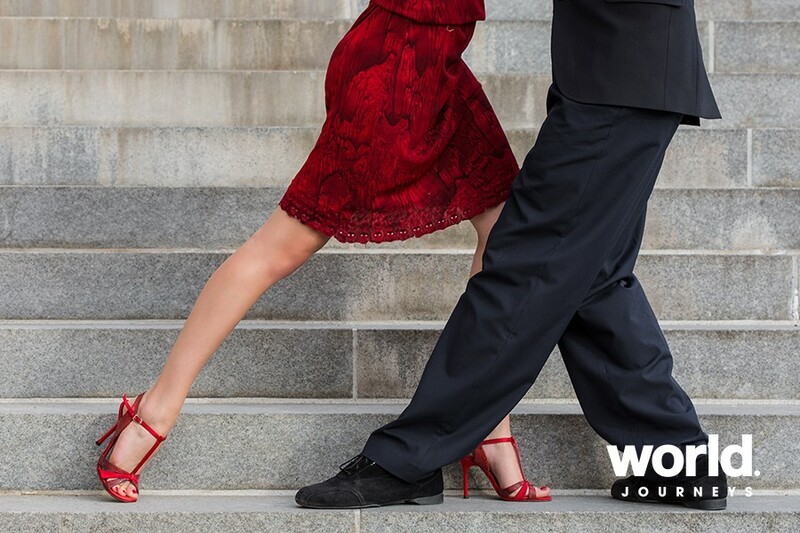 Learn to dance the tango in Buenos Aires Learn to dance the tango and enjoy a delicious dinner followed by a multi award-winning tango show. 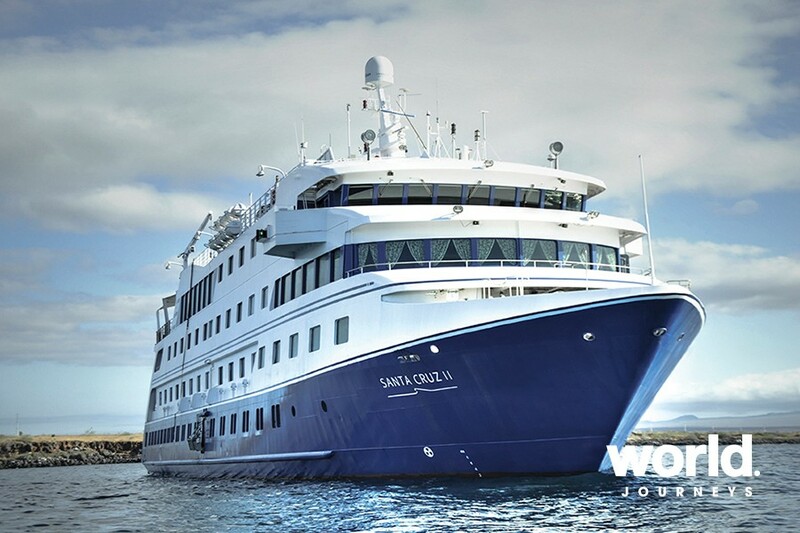 SANTA CRUZ II Explicitly designed for expedition cruising, the 90 guest Santa Cruz II is one of the finest ships sailing the Galapagos Islands. Relax in spacious, beautifully appointed cabins and enjoy a blend of Ecuadorian and international cuisine. Internationally renowned naturalist guides share their knowledge of, and passion for, the history, landscapes and animal life of these incredible islands. All excursions and snorkelling equipment are included. 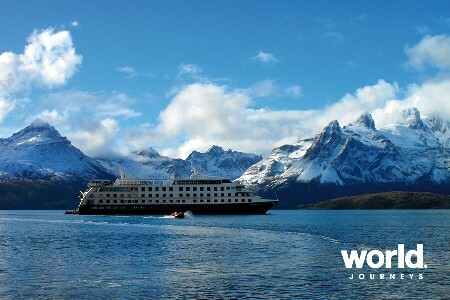 Given the island's volcanic nature, moderate physical condition is required to get maximum benefit from your cruise. Sun 25: Auckland > Santiago Fly to Santiago and transfer to our hotel. 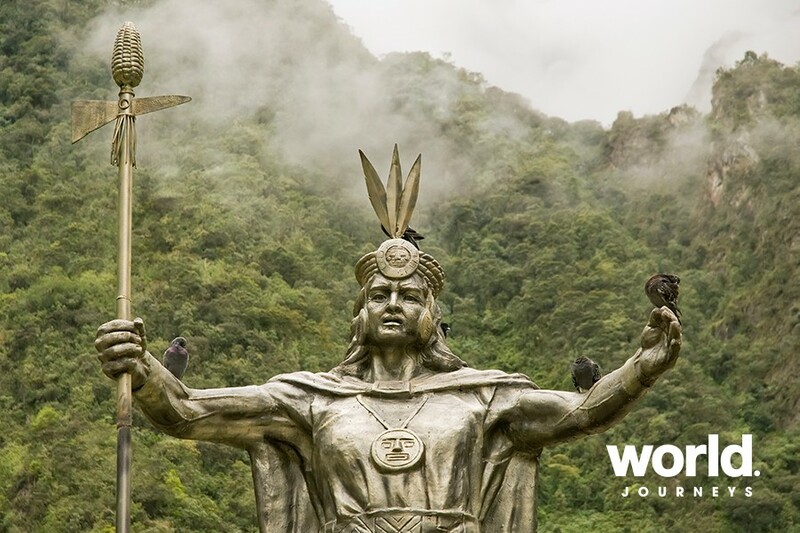 Mon 26: Santiago > Quito (B) Enjoy a sightseeing tour of Santiago followed by an evening flight to Quito and transfer to our hotel. 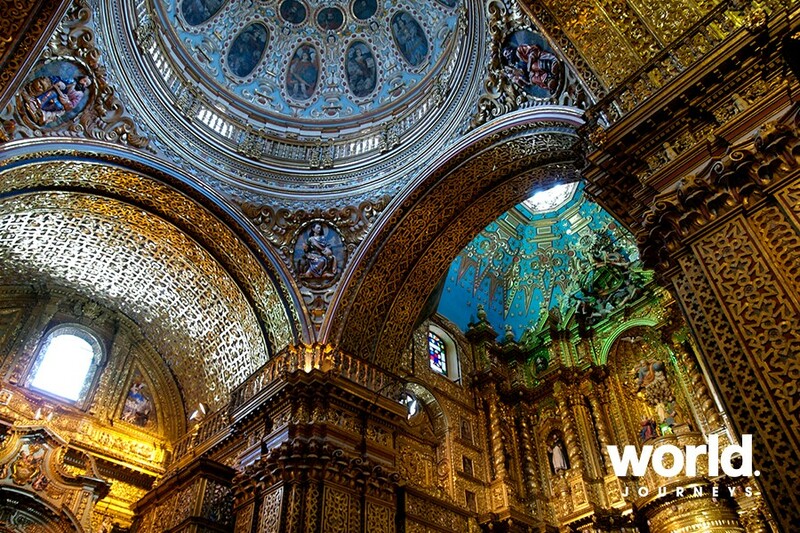 Tue 27: Quito (B,D) Explore this charming city, once the northern capital of the Incan Empire and the first ever designated UNESCO World Heritage Site. Welcome dinner this evening. 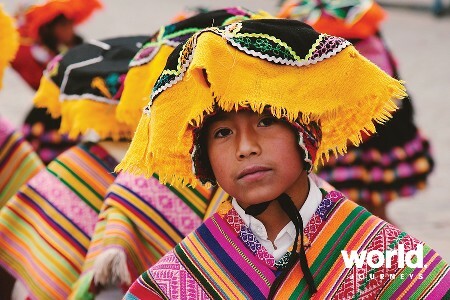 Wed 28: Quito (B) A day to explore or perhaps visit the famous Otavalo market. THU 29: Quito > Amazon jungle (B,L,D) We take a short flight over the Andes into the Amazon jungle. Then we transfer two hours by river to the stunning Sacha Lodge, set in primary rainforest. 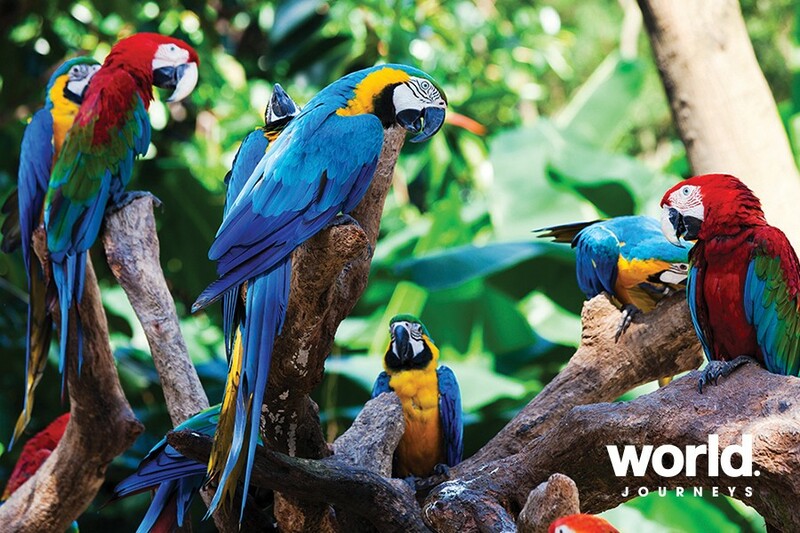 Fri 30 & Sat 31: Amazon jungle (B,L,D) Spend our days on nature walks, twilight river excursions and discovering the incredible birds, butterflies and wildlife. Other activities include piranha fishing and a treetop canopy walk, a great place to watch the sunset! Superb naturalist guides will help bring this incredible environment alive! Sun 01: Amazon jungle > Quito (B) Morning transfer by river then fly to Quito for overnight. 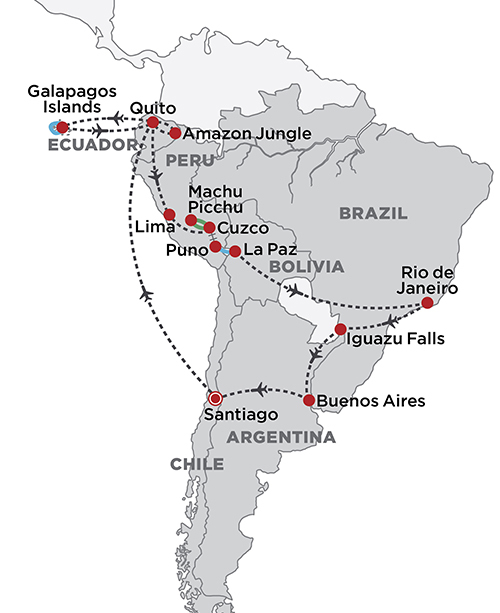 Mon 02: Quito > Galapagos Islands (B,L,D) Fly to the Galapagos and transfer to our expedition ship, the Santa Cruz II. Later, enjoy an excursion to see lagoon birds and swim or snorkel from a beautiful white beach. 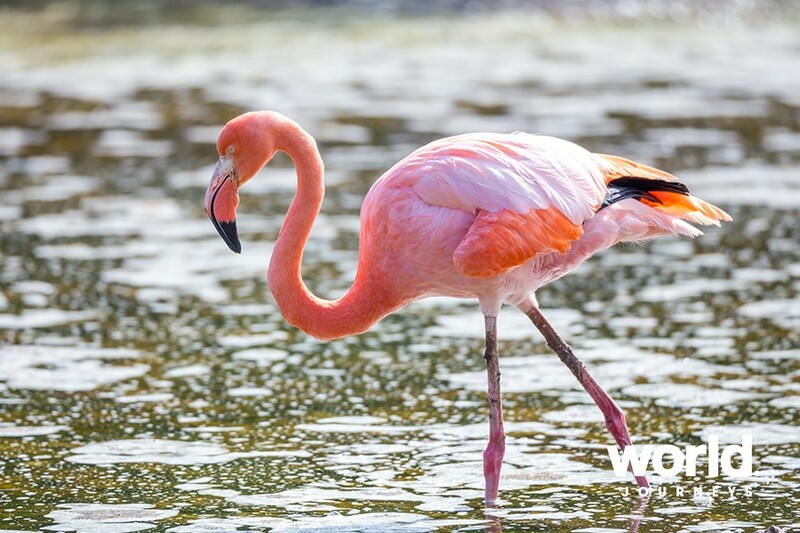 Tue 03: Galapagos Islands (B,L,D) Spend the morning at Buccaneer Cove, home to a range of marine birds and some impressive geological formations. 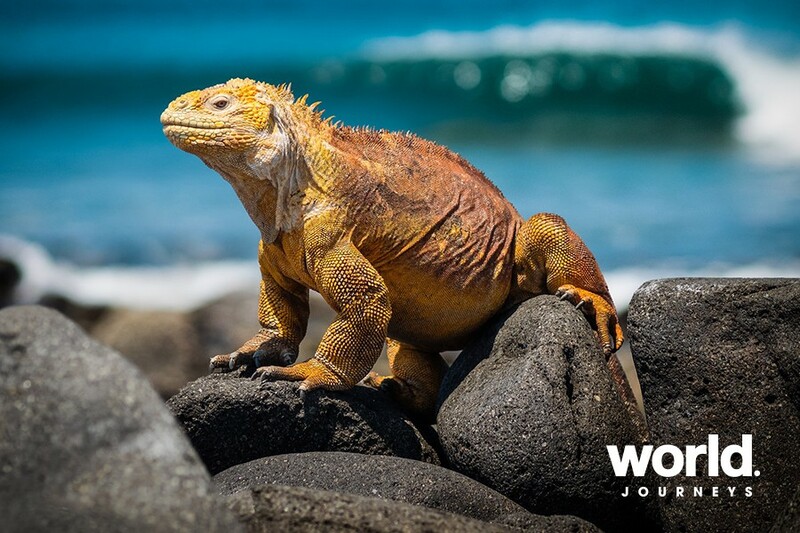 In the afternoon visit Puerto Egas for amazing lava formations and a great place to witness the marine iguana. 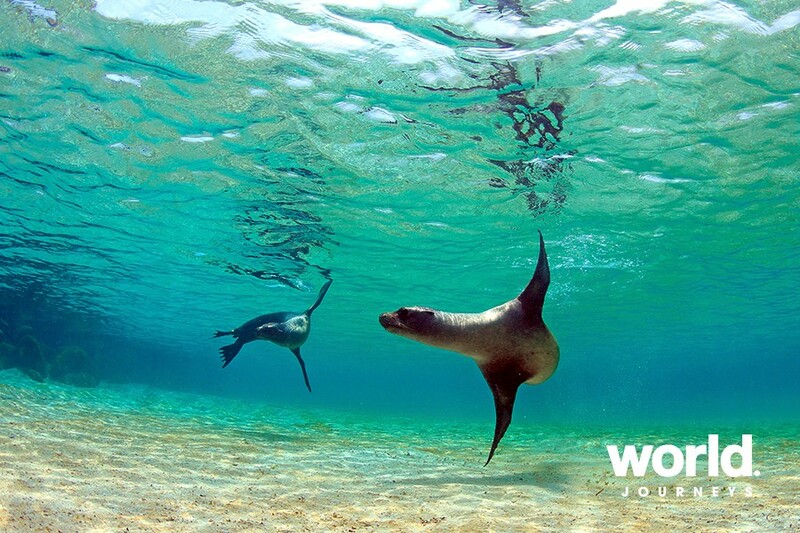 Swim or snorkel with sea lions, marine turtles and a myriad of fish. 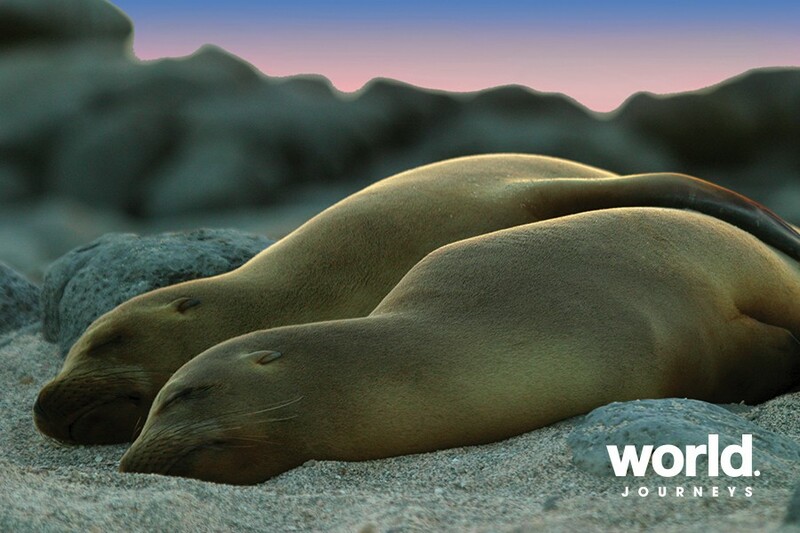 Wed 04: Galapagos Islands (B,L,D) See Rabida Island with its red sandy beaches and very rich marine and bird life. In the afternoon visit Bartolome Island and enjoy a zodiac ride to spot the Galapagos penguins. Thu 05: Galapagos Islands (B,L,D) Visit Tower Island and moor inside a collapsed volcanic crater. 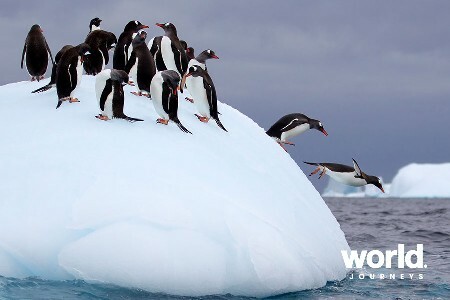 Once ashore, marvel at the incredible range of birdlife. In the afternoon, visit Darwin Bay which is very rich in bird and marine life. Here you may swim, snorkel or enjoy a glass bottom boat ride. Fri 06: Galapagos Islands > Lima (B) Our final morning includes a real highlight, visiting the giant tortoise in their natural habitat in the highlands of Santa Cruz Island. Then fly to the mainland and connect to Lima. Sat 07: Lima (B) A full day of great sightseeing in this historic city, including a visit to the wonderful Larco Herrera Museum. Sun 08: Lima > Sacred Valley of the Incas (B,D) We take a short flight to Cuzco and then transfer to the beautiful Sacred Valley of the Incas, situated at a lower altitude which will help us to acclimatise to altitude. Mon 09: Sacred Valley of the Incas (B,L) A full day exploring this picturesque valley. 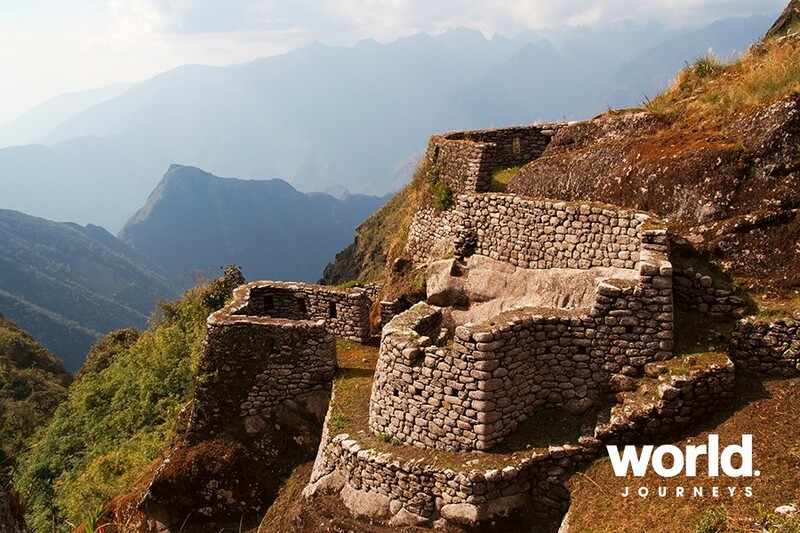 Visit the Inca salt mines at Maras, amazing Moray and the very impressive Inca fortress at Ollantaytambo. Enjoy a Peruvian Paso Horse show at our special lunch. Tue 10: Sacred Valley of the Incas > Machu Picchu (B,L,D) Travel by train to Machu Picchu, the incredible 'Lost City of the Incas'. We will have lunch and then enjoy a guided tour around this archaeological gem. Dinner and overnight in our luxury hotel. Wed 11: Machu Picchu > Cuzco (B) Return by train to visit the famous weaving village of Chinchero and amazing scenery on our way back to Cuzco. 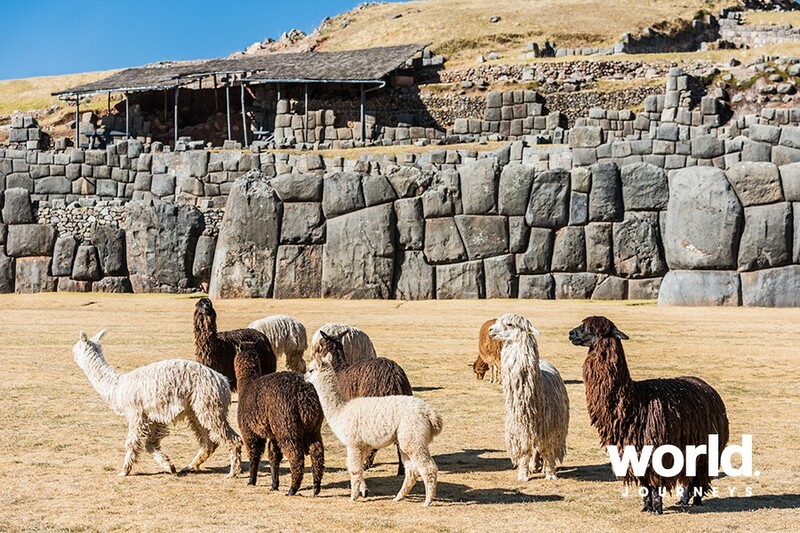 Thu 12: Cuzco (B) Morning tour of historic Cuzco, including the beautiful Cathedral and the impressive Incan fortress of Sacsayhuaman. Then enjoy an afternoon at leisure to explore. Fri 13: Cuzco > Puno (B) Luxury train to Puno. Overnight at a lakeside hotel. Sat 14: Lake Titicaca (B,L,D) Cruise Lake Titicaca and overnight aboard a catamaran with private facilities. Enjoy a fascinating visit to Isla del Sol, the birthplace of the Incas. Sun 15: Lake Titicaca > La Paz (B,L) Continue across the lake, then by road to La Paz. We'll see some amazing views of the Royal Chain of the Andes. Mon 16: La Paz (B) Morning tour to the markets of the most 'Indian' of South American capital cities. Also visit the mysterious Moon Valley and Mario Sarabia, a world-famous ceramics artist. Tue 17: La Paz > Rio de Janeiro (B) We fly to Rio de Janeiro and transfer to our hotel. Wed 18: Rio De Janeiro (B) Visit the historical centre of old Rio, then take two cable cars to the summit of Sugarloaf. Afternoon at leisure. 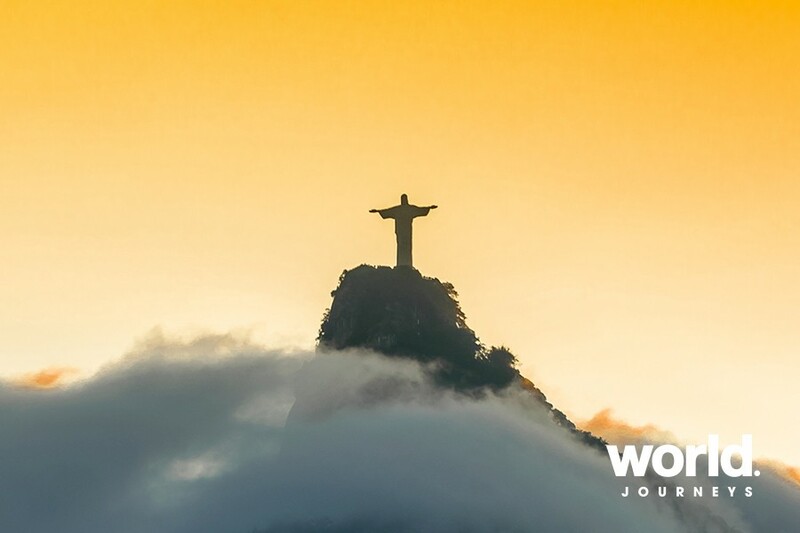 Thu 19: Rio De Janeiro (B) Visit the statue of Christ the Redeemer and later pass by Rio's famous beaches. Enjoy an afternoon at leisure. 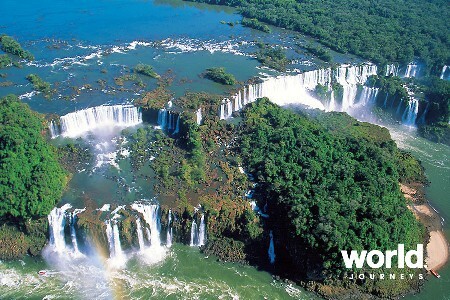 Fri 20: Rio De Janeiro > Iguazu Falls (B) Fly to the mighty Iguazu Falls and tour the Brazilian side. 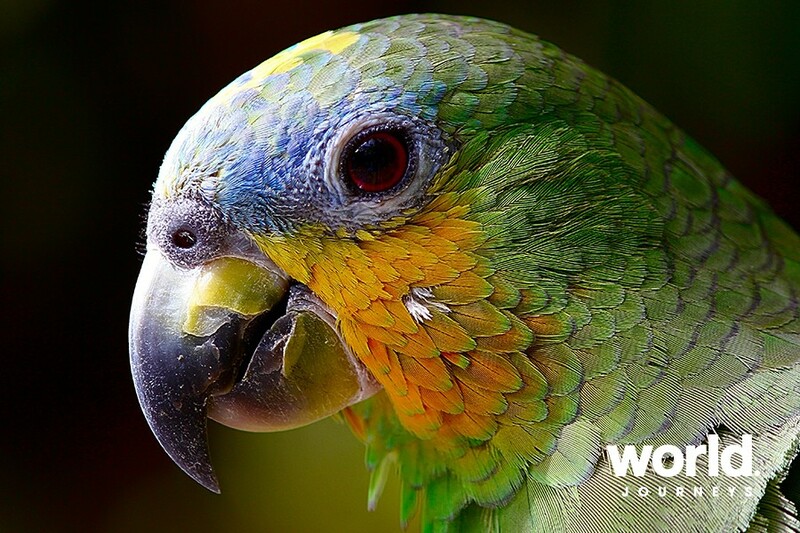 Visit a wonderful bird and wildlife park before transferring to our hotel situated in Argentina. Sat 21: Iguazu Falls (B) Morning tour with amazing falls views then the highlight, the Devil's Throat Cataract "“ the most impressive in the world. 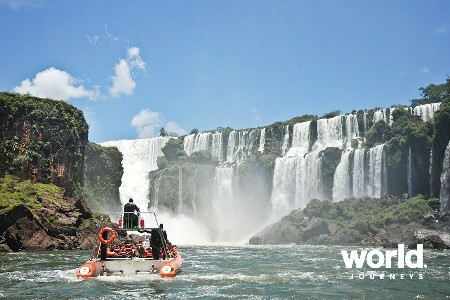 Sun 22: Iguazu Falls > Buenos Aires (B) Fly to elegant Buenos Aires and transfer to our hotel. Mon 23: Buenos Aires (B) Tour Buenos Aires, the 'Paris of the Americas'. 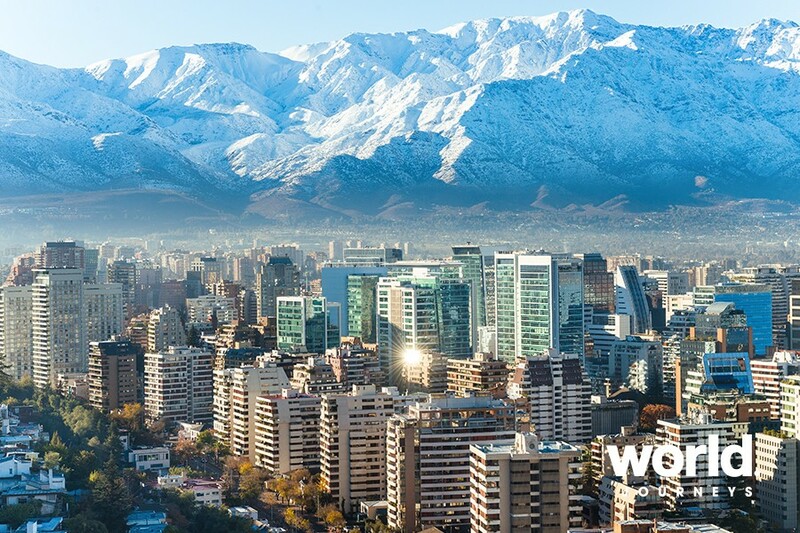 Tue 24: Buenos Aires (B,D) Explore, shop, or relax in this great city. In the evening we will enjoy a special farewell dinner and tango show. Wed 25: Buenos Aires > Auckland (B) Transfer to the airport for our flight home via Santiago. 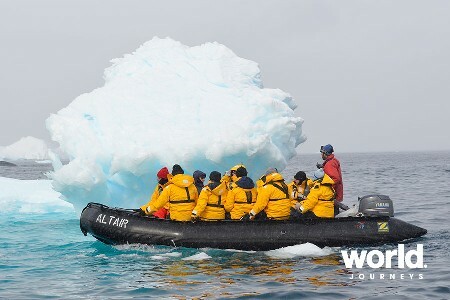 • A non-refundable deposit of $2,000 per person is required, with the balance due 25 May 2019. • As cancellation fees apply, travel insurance is mandatory. We have just returned from our South American journey. Firstly, I wanted to say how amazing our host Julie Salt was. We were very relaxed travelling with Julie taking the lead, which obviously we don't have when we journey away on our own. She dealt extremely well with all sorts of situations, people and personalities, yet keeping the group running smoothly without drama. She was always smiling, engaging with everyone and there to help whenever anyone needed it. I bow to her strength and fun personality, she made the journey run so smoothly. We have travelled a great deal with World Journeys arranging our tours and we have always found that we have had the best service. Top guides, great drivers, excellent accommodation and itineraries. This was our first small group hosted tour, which with only 10 people was perfect in size for us. Once we got to know the others we became good friends and had some fun and lots of laughs. We still made sure we did things on our own at times as well, which was a good thing and was very easy to do. The Galapagos cruise was fantastic, well organized and run. Our suite was a very good size, with a comfortable bed and good-sized bathroom. The service was exceptional, and the guides were very knowledgeable, fun and went out of their way to make our tour interesting. Our accommodation throughout South America was good, our favourites were in Machu Picchu, Urubamba, Iguazu, Buenos Aires and obviously Sacha Lodge. Our highlights were the Galapagos, Piranha fishing in the Amazon, La Paz (great city) along with meeting Mario and visiting his studio and home, Chopper flight in Rio, Iguazu Falls and Chopper flight there, plus our first glimpse of Machu Picchu. To sum up, both Murray and I really enjoyed our tour, we enjoyed every country we visited and the people we met. We felt extremely lucky to have visited places like the Galapagos, Machu Picchu and Iguazu Falls. Seeing the photos of these places doesn't do them justice, they are breathtaking and inspiring and need to be seen to be truly believed. Having a fantastic host, like Julie taking care of all the details when you're travelling to so many places in a relatively short time was essential in making the journey run smoothly and we felt very relaxed.